36 photographs : 35 b&w, 1 col. Interior and exterior of the development of the Toronto International Airport, showing photographs of planes, baggage claim, parking garages. Design drawings were published in the May 1958 issue of Canadian Architect. 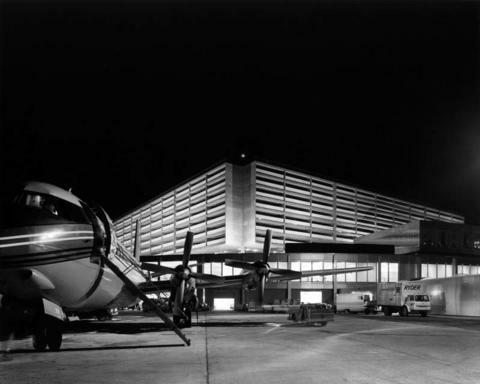 The airport was originally known as the Malton Airport, opened in 1937, and was redeveloped as an International Airport in the 1960s, and renamed in 1984 for former Canadian Prime Minister Lester B. Pearson. Photographer: H. R. Howett. Toronto, Ontario. "Projects." The Canadian Architect May 1966: 66-68.